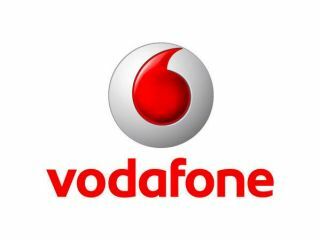 Vodafone is marking the launch of DRM-free music tracks by offering eight free downloads to all customers for one day only. Dubbed Free Music Friday (whew, bet Vodafone's glad it wasn't a Wednesday, that would have sounded awful) users will be able to get tracks from the likes of Lady GaGa, Tinchy Strider and Lily Allen, although the 'free eight' has been chosen for you already, so if you're not aged between 11-18 or 'down wit da yoot', they might not all be to your taste. The 24 period marks Vodafone's decision to ditch the DRM on all tracks from its music store, as we reported back in March, with an initial offering of 350,000 unlocked tracks from EMI, Sony Music and Universal Music, as well as independent labels. And for those of you grinding your teeth and wailing at the sky because you've spent your pocket money every week on DRM tracks from the big red network, don't worry, as Vodafone will let you download them all again for free. The tracks will cost a fairly sprightly 49p per track and £7.99 per album, and Vodafone says it will be boosting the collection to over a million tracks by the time Mr Autumn starts making things a little bit chillier. Users will be able to get the tracks either from their PC or over the air from their handset, although downloading millions of music minutes could incur some hefty download rates, so best check that out before you start.